BP: €48.38* / 1 pcs. 1 Stk. BP: €11.40* / 1 pcs. The Primavera Aroma Atomiser from the Accessories & Fragrance Device range exudes a pleasant scent and silky aromas throughout the whole room Here, the Atomiser not only independently sprays the active ingredients from essential oils and fragrance essences, but also automatically controls their intensity to ensure that a pleasant fragrance base is created without being too overwhelming. 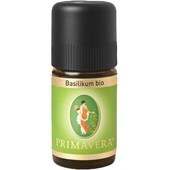 The Atomiser can be combined with any oils and fragrance from the Primavera brand and at the same time offers an attractive eye-catcher for any room. 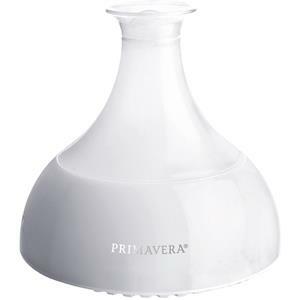 The Aroma Atomiser from the Accessories & Fragrance Devices range by Primavera will captivate with its elegant, white design and twisted goblet shape. The pleasant room aromatisation can be matched to your own wishes or even the season, by adding the appropriate oils and fragrance notes to the Atomiser. This also humidifies the air and thereby ensures a pleasant room atmosphere, even if the oven or heating is on in winter. All our electrical equipments have a Euro-plug. A Euro-plug is a flat, two-pole AC power plug for use at 250V / 2.5A. The Euro-plug is used throughout Europe, with the exception of the United Kingdom, Ireland, Malta and Cyprus.